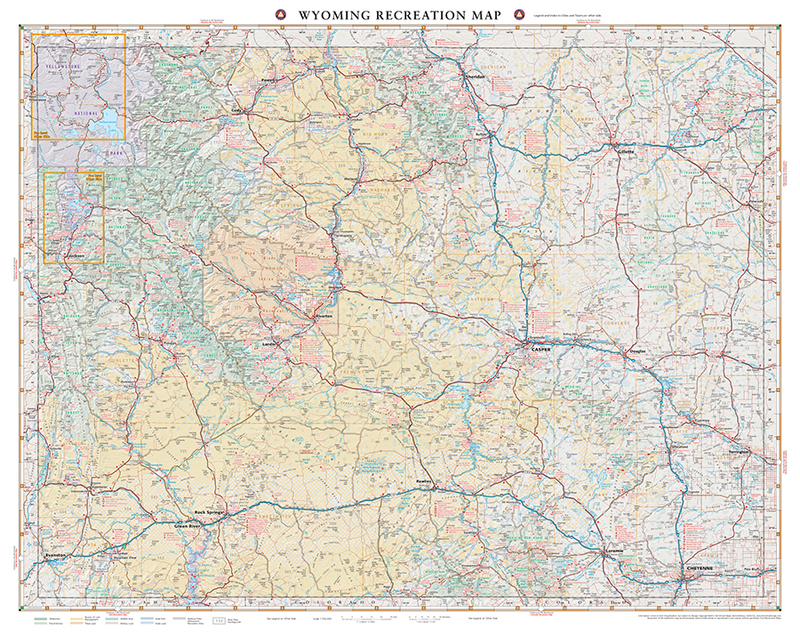 The Wyoming Recreation Map is a folded map version of the Recreation Guide pages within our Wyoming Road & Recreation Atlas. 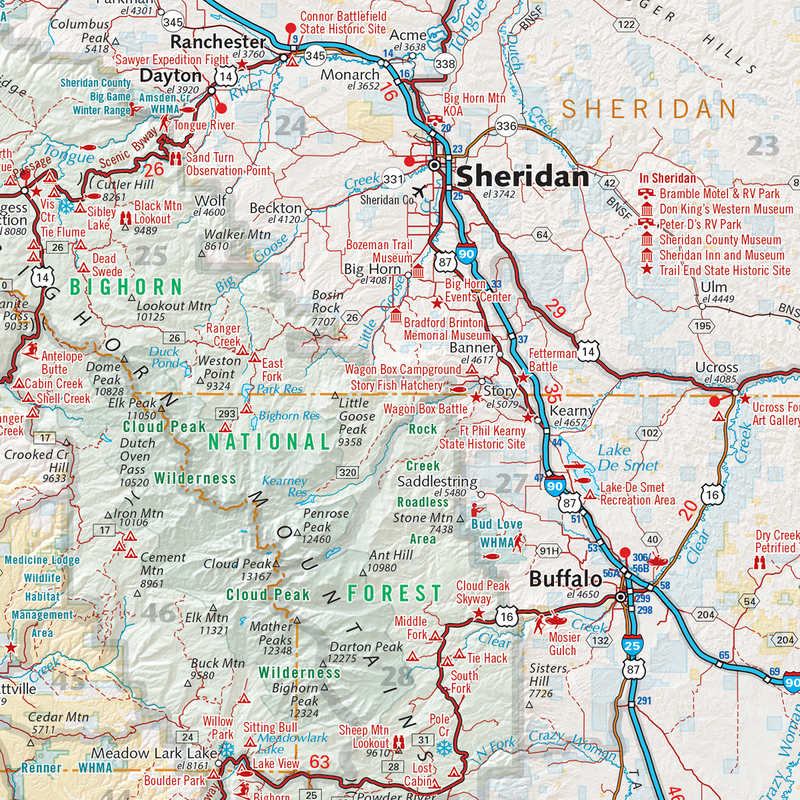 One side provides a full state map that features Public & Tribal Lands, extensive highway detail, point-to-point mileages, recreation attractions, campgrounds, parks and wildlife areas, fishing access points, and hunting units (GMU). 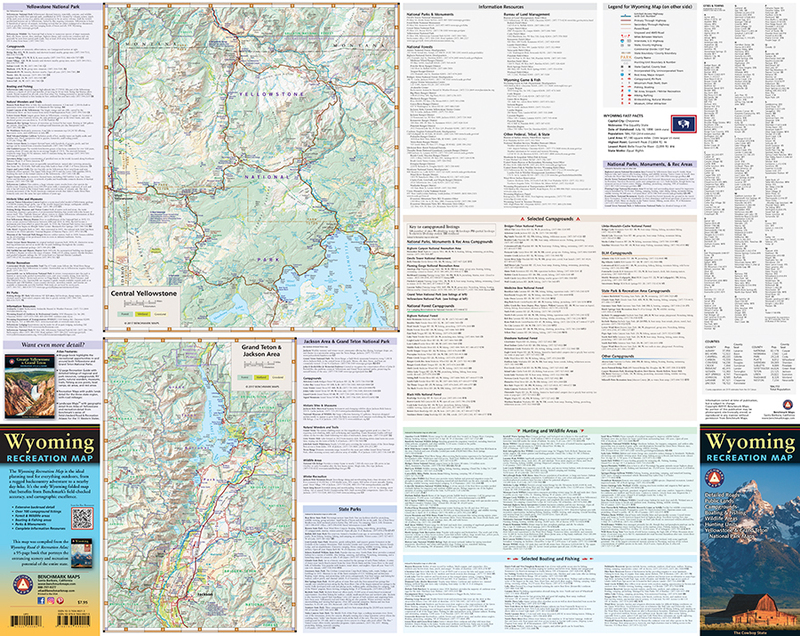 The reverse side features enlarged maps of Central Yellowstone and Grand Teton / Jackson, and includes statewide categorized POI listings with helpful descriptions, current contact information, and map grid references. ISBN: 9780783499215 Cover:4.25" x 9" Sheet: 34" x 27"